Firestone Park United Methodist Church (Canal District) in Akron holds in prayer each week situations in the world. During service on Mother’s Day, I invited congregants to stand in groups as they desired and get a note that showed their support for the Girls of Nigeria and their mothers. Boko Haram, a Nigerian Islamist rebel group, kidnapped 276 girls on April 14. The girls were taking exams at a secondary school in Chibok, Nigeria at the time they were abducted. 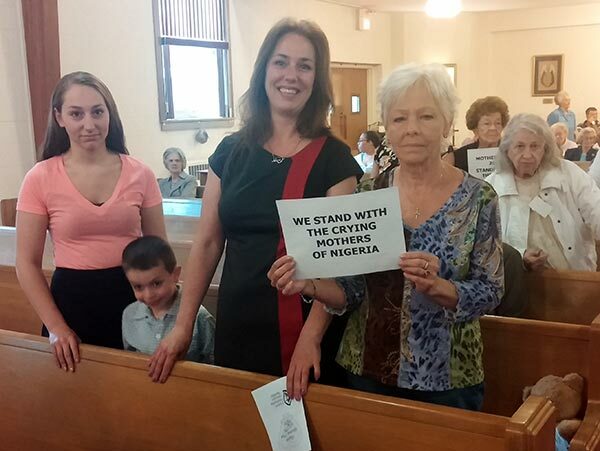 Three generations – Rebecca, Andrea, Meranda and Eric – stand together in prayer for the Girls of Nigeria. 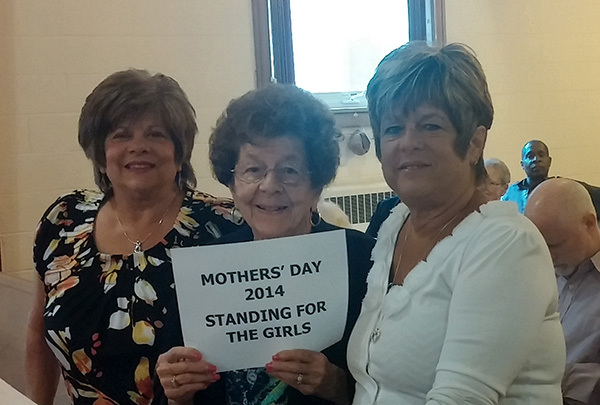 Fran and her daughters stand in support of the girls kidnapped in Nigeria. These photos show just a few of the groups at Firestone Park UMC that came together in prayer for the kidnapped girls and their families. Visit the church website to view additional photos. *Rev. Patricia Mulder Christ is in her 3rd year as pastor of Firestone Park UMC.